Cyclists in the City: News International will tell Mayor to make Wapping junction safer for cycling: "This is not the first such accident involving a member of staff"
News International will tell Mayor to make Wapping junction safer for cycling: "This is not the first such accident involving a member of staff"
One of Boris's brand new cycle super highways. Spot the bike lane. Last week, a journalist working at The Times was run over cycling to work. She was crushed by an HGV at the junction of Dock Street and The Highway - a wide, fast and nasty dual carriageway with wide pavements either side and hatchings down the middle of the street. A road where there is plenty of space to install safe cycling facilities. The collision took place on Friday and the journalist was reported to be fighting for her life. It's desperately sad but also desperately avoidable. "Many of our staff cycle to work and we advise them to take great care in doing so. The company's staff newspaper We're News carries regular articles on the need for vigilance by our cyclists because this is not the first such accident involving a member of staff. Following the horrific injuries suffered by a member of our staff last week, we will be talking to both the police and the Mayor's office to see whether safety for cyclists at that particular junction on The Highway can be improved." I think their tone is exactly right. There's a balance between individual responsibility on the road and road design. 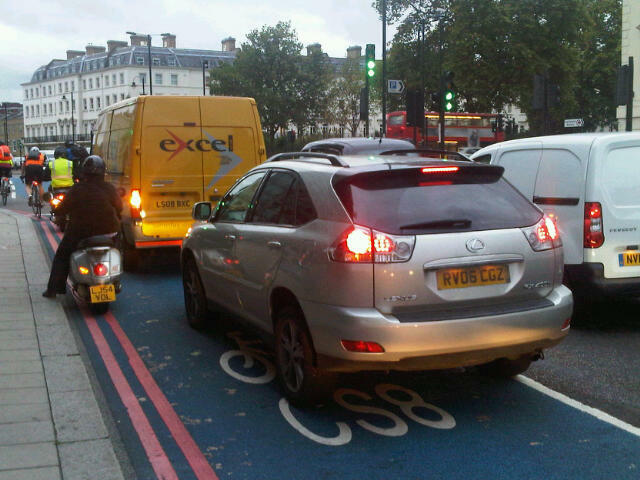 Transport for London, which reports to the Mayor, is responsible for the road design at this junction. The owner of The Times is specifically indicating that this is a dangerous junction and it needs to be made safer to cycle. This is the message we're hearing again and again across London. In Islington, the leader of the council last week: "I’ve written to TfL to urge that cycle superhighway 12, which will run through Islington’s A1 after the Olympics, does a lot more [than just some blue paint]"
In Camden, councillor Paul Braithwaite: "I really believe we need [a case of corporate manslaughter brought against Transport for London] to get through to TfL’s high command." In Kennington, residents are asking for safer junctions. At Kings Cross, residents are working with the local police teams and considering exactly that charge of corporate manslaughter against Transport for London. All across London communities, employers, local people are saying the same thing. Transport for London is designing roads and junctions that make it dangerous to cycle through them. It's time for that to change. Join us for our Junction Flashride to protest for safe junctions for pedestrians and cyclists. All around London. Things have got to start to change. Join us if you think London's streets should be made safe for cycling. I would love to join but family affairs won't allow for it, although since I live in the far east London and have to cross a big roundabout with my 5YO son every day to get to school you get my full support. My route occasionally takes me across another junction with The Highway (Glamis Road, going up to the superhighway on Cable Street). I always, always get off and walk across the junction - I have seen lorries going along the Highway run red lights, and occasionally the junction is completely blocked with traffic so you can't travel along Glamis Road.